Scroll over image to zoom. Click on image to enlarge. Standard shipping method: no extra charge. Posters shipped individually and wrapped in a one inch protective plastic sleeve. Please note: Art Prints cannot be rolled. All posters are shipped rolled together in a loose roll. 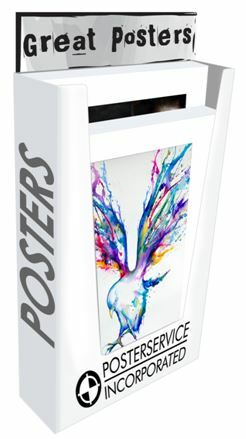 All posters are individually shrink-wrapped on white corrugated board. $1.00 extra per poster on 16x20's. Posters will be billed actual freight. Add to Cart Qty: Item added to cart successfully. This poster is a GB Eye item. Please select a Packing or Mounting option before adding the poster to cart! Get the Latest News, Specials, and Information!